Ep 53 - David Cheifetz : The Art of Now - John Dalton - gently does it . . .
David Cheifetz is an exceptional representational artist. 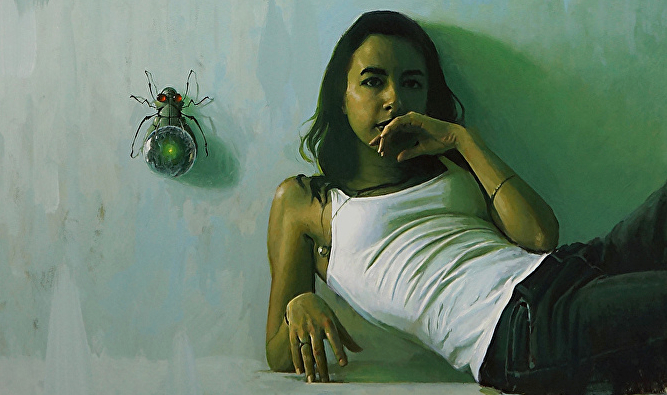 Based in Seattle he paints people and cityscapes, and still lifes. Lots of still lifes. During the course of our conversation he gives some great tips and insights about his process, working with intent and the excitement of still life painting. The artist I mentioned in our chat is Mel McCuddin. He “finds the image” within the abstract expressionist “underpainting” that he makes first. Carlos Castaneda was the South American writer I mentioned. Just finished listening to this podcast and I thoroughly enjoyed it. As a collector of David’s art and a person that enjoys painting I was captivated by this interview. That David shared the trials and tribulations that make up his dedication to art was moving. And he offered some wonderful advice to artists of every level. I enjoyed John’s style-more like a conversation than an interview- captivating. Well worth the listen! Thanks Anne, I’m glad you enjoyed the podcast. Hi Anne, thank you for listening and I’m happy that you enjoyed it. I appreciate your comment! And yes, John is so good at this…he makes the art of podcasting look easy. Great podcast. I have taken David’s workshop. He is as great in person as he is on this podcast. He inspires creativity and has a knack for communicating what he knows. I recommend his workshop to anyone that would like to improve his/her craft. I really enjoyed David’s comments about being present and disciplined. Just starting is so hard for me sometimes…thanks for sharing such encouraging info! This is a little late, but I wanted to tell you I read the Castenada books many times. I enjoy your interviews John!